59,74 € 59.74 tax incl. We advise on the medium and large configurations, even to ride every day. If your gear is designed for meetings, runs, drags ... prefer a model or type Kehin pwk but of quality (eg MIKUNI or Kehin). Of course, for a passionate, with advanced engines you will make your choice. 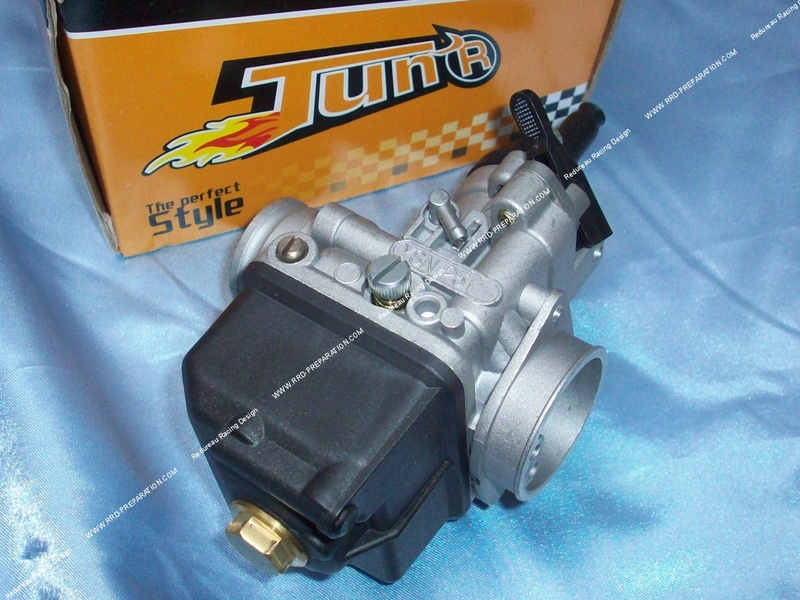 After a good check, clean, good editing / adjustment, this carburettor is robust in time and offers nice performance. This carburetor has a boisterous has no separate lubrication, depression, ... Equipped with a choke lever and its mounting is flexible Women intake pipe or flexible sleeve, think about providing a sleeve of good size, you will find here . This PHBL carburetor will be mounted on your moped 103 / MBK 51, mécaboites and scooter, you have to adapt appropriately (pipe sleeve, connectors, ...) Its diameter for air filter 39mm (external measurement).